Italian amaro Fernet is an acquired taste with its bitter, pungent, aromatic nature. And yet, it’s Argentina’s liquor of choice (paired with Coke) and every bartender’s go-to. It’s for the hard-core. 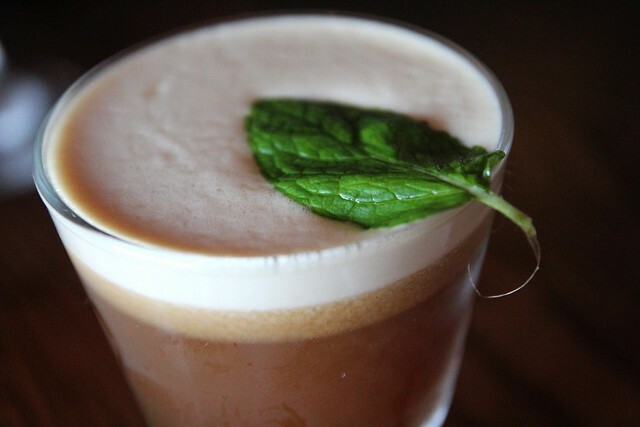 This summer, however, Fernet has lightened up and become more approachable with L.A. bartenders adding it to soda cocktails and desserty ones for your drinking pleasure. The result is something minty and refreshing. 1) Ink’s Fernet Soda Cocktail (pictured above): At Ink bartender Gabriella Mlynarczyk‘s cocktail was inspired by a root beer float “with the cream being Fernet, a little bit of vanilla, and a Coke reduction. The Fernet soda is Mexican Fernet, Cherry Heering, vanilla extract, tonic and Scotch and then it’s carbonated.” She pours the Fernet soda into a Collins glass filled with ice and tops it with that Fernet cream. 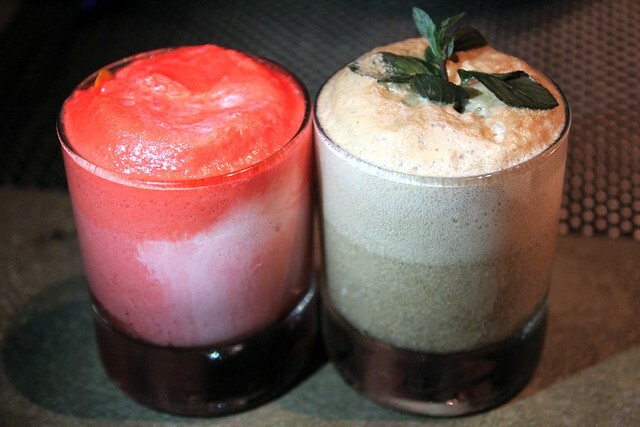 The result is a refreshing and gorgeous dessert cocktail. 2) 1886‘s Coke & A Smile: This fun take on the whole cocktail soda trend combines rye, Fernet Menta, Galliano Ristretto, a whole egg and Mexican Coke and is then strained back into a classic Coke bottle. Truly tasty, reminiscent of an egg cream phosphate. I wish Coke really did bottle and sell these at the corner store. Or that 1886 let me super size it. 3) Wood & Vine’s ‘Merica: Like Ink’s cocktail this was inspired by a root beer float but is a step closer to the dessert with its use of Art in the Age Root, rye, Fernet Branca, vanilla bean foam. Surprisingly it’s not as sweet as I thought it was going to be. The root and Fernet work great together with the sweet and bitter. 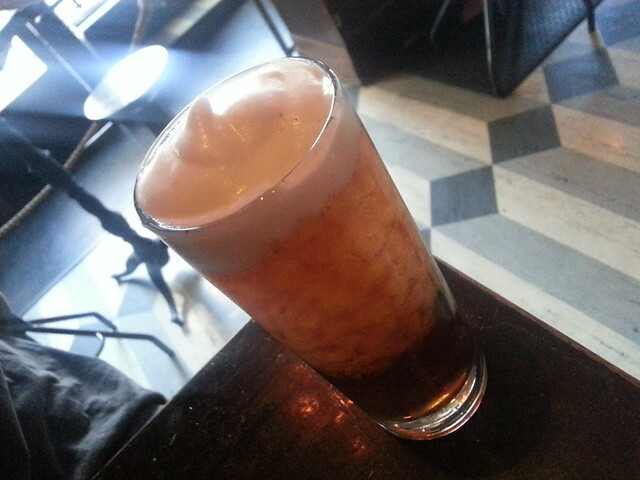 4) Corner Door’s Pencil Mustache: Here the Fernet’s intensity is softened up with tamarind, lime, egg white. You get that bitter amaro up front but the cocktail finishes minty fresh. Sadie’s Pope Floats (on the right) is back! 5) Sadie’s Pope Float: Sadie recently debuted a slew of new boozy floats for the summer but last year’s favorite, The Pope Float with Fernet and chocolate chip ice cream on Mexican Coke, is back!